Are your students bored in class? According to research, a majority of American high school students report being bored in class and fewer than 5% claimed that they were rarely bored during a typical day in school. Former journalist and veteran teacher Martha Rush decided this would not do for her Minnesota students. Moving beyond asking open-ended questions and making connections to their own lives, Martha began to engage her government, journalism, and economics classes in meaty discussions, competitions, simulations, and authentic work, like running a newspaper or starting a business. Building on her survey of more than 800 high school graduates, she offers up strategies in all subject areas for active engagement, moving way beyond traditional passive memorization of information. She describes how to create innovative experiences in your classroom, and shares her own lessons and her students’ work. 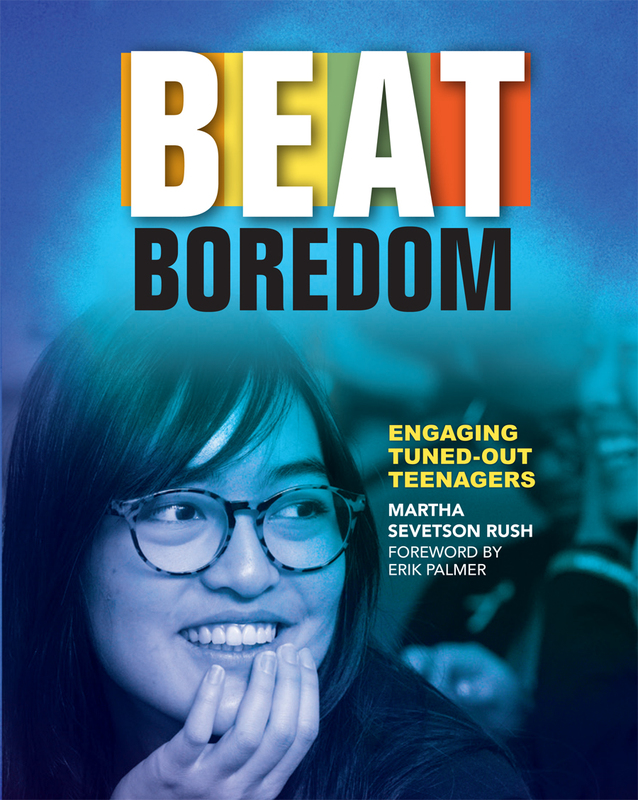 Beat Boredom will help you join the ranks of teachers who have challenged the status quo and found ways to motivate even the most reluctant learners. Martha Sevetson Rush has taught social studies and journalism for 20 years at Mounds View High School in Minnesota. In addition to teaching, she promotes high-engagement teaching strategies through published curriculum and hands-on teacher workshops. She is married to Jeff Rush, and they have two sons, Ben and Sam.